Need warranty parts or a service? Some manufacturers offer an expedited service request process by allowing the customer to submit a request directly to them. Please visit the following links to process your service request. 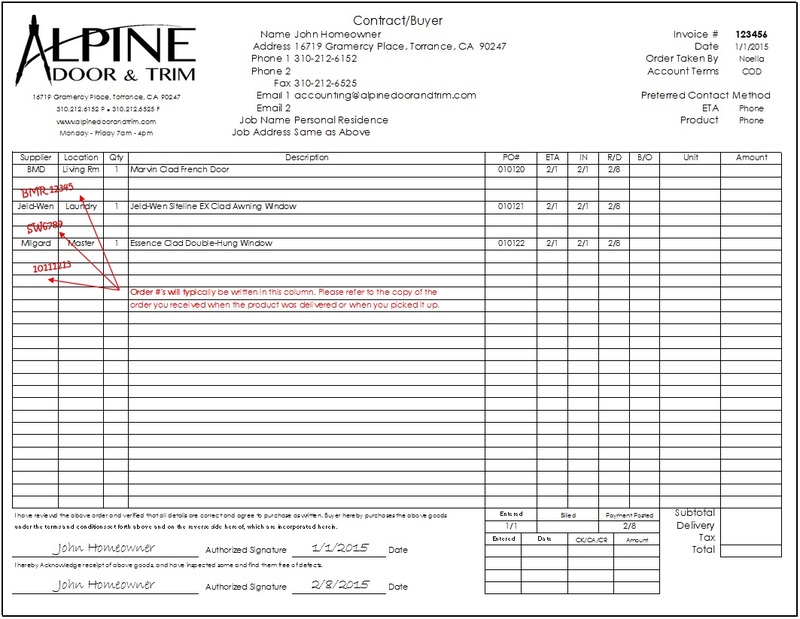 Please allow 2- business days for the manufacturer to respond. If you do not receive a reply within 2- business days, please contact them directly to expedite your service scheduling. If you need any additional assistance, please do not hesitate to contact the office. Where can I find my order # on my invoice? Where can I find my Marvin Serial #? Where can I find my Milgard Serial #?